Nobrow Press - Signed copies of Hilda and the Bird Parade and Dockwood in store now! 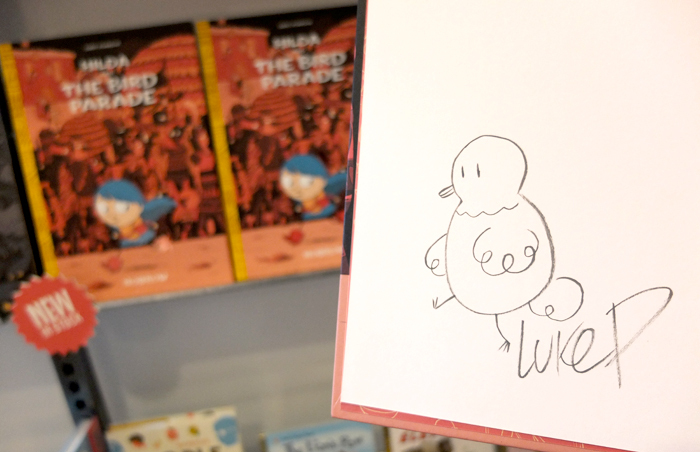 We are very excited to announce that in celebration of the release of Hilda and the Bird Parade by Luke Pearson and Dockwood by Jon McNaught we have signed and sketched-in copies of the book available for sale only in the Nobrow shop! Don’t miss your chance to get your hands on a piece of original artwork hand drawn by the authors. We’ve only got 50 signed copies of each book so get moving!